Sponsored by the American Veterinary Medical Association, (AVMA) the month of February has been set aside as National Pet Dental Health Month. While the majority of humans don’t consider a trip to the dentist to be one of their top 10 most favorite things to do, it’s no secret that regular dental checkups are essential to maintain overall good health. It’s equally just as important for pet parents to provide regular dental care for their pets. According to studies made by the American Animal Hospital Association, (AHHA) sadly, 85 percent of dogs and cats over the age of 3 years have already suffered dental or gum disease. Without regular dental care and cleaning, pets can develop gingivitis, (an often painful inflammation of the gums) from the bacterial laden plaque which, if not taken care of on a regular basis, develops into tarter or calculus. 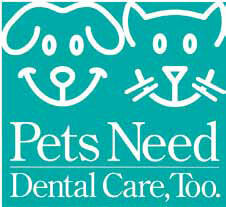 Although the AVMA is promoting Pet Dental Health Month in February, at the same time the organization is reminding dog and cat owners that in addition to making an appointment with their veterinarian for a complete dental checkup and cleaning, that learning how to brush their pet’s teeth and do so on a regular basis that their veterinarian recommends is equally essential. Learn the symptoms of pet dental disease which many are hard to ignore. One of the first signs of gum disease is unrelenting bad breath. Additionally, pets may exhibit: difficulty in eating, pawing at their mouth, gums that are sore and red gums, and tooth discoloration caused by tarter.